Uber has announced that travellers can now use KLM’s website to book a car service, thereby making it easier to book your airport or onward travel. Announced today, the Uber travel planner on KLM’s website allows you to plot a route between any two locations (provided the distance isn’t too far) to get a price and estimated length of ride shown on screen. 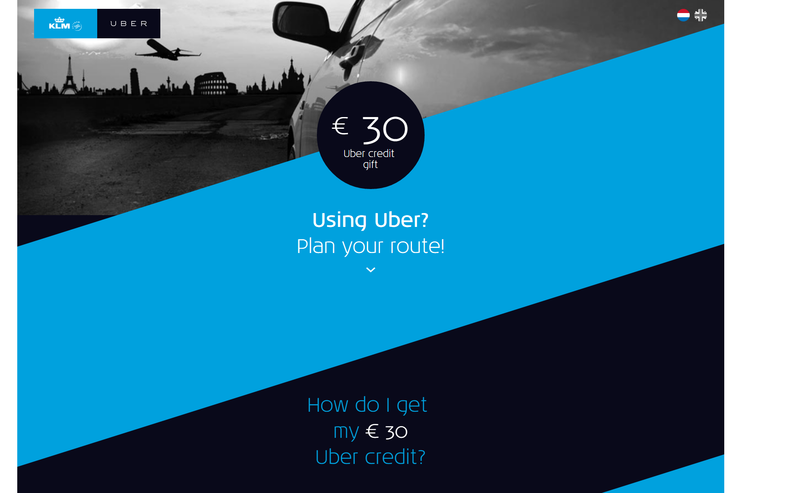 To promote the service, travellers who book a qualifying European KLM flight get €30 (~$38) towards their Uber rides. It’s worth noting that while the service isn’t restricted to KLM’s homeland in the Netherlands (you can book a car in France, or the UK, for example), the €30 credit is only applicable in Euros, so won’t be applied if your ride is in a different currency. The integration wouldn’t have been possible until just a few months ago; in August this year Uber announced it was opening up its APIs to third-parties, which is how uber.klm.com was built.